CargoCoin is designed to be a smart contract, crypto currency platform, decentralising global trade and transport. The platform target is to facilitate and optimise the interaction amongst traders, freight forwarders, shipping lines, booking agents as well as all other parties involved in the international trade and transport of commodities and cargoes. The platform users experience outlines well-balanced ecosystem based on cutting edge crypto security and frictionless interaction. CargoCoin objective is to provide a global marketplace environment and utilities for facilitation of trade, transport, exchange of documents and payment options at low cost in real time. The platform architecture is based on the principles of high level of security, transparency, traceability and accountability. It is set up in a way that the participants can take advantage of any part of it alone, or in combination with other sections. It can be used as a very simple platform or as a complex smart contract utility with various payment options. The link between physical trade and transport with online crypto technologies delivers the opportunity for implementation of a large scale project and allows for further expansion. CargoCoin platform options provide infinite possibilities for added value to the users and the participants. All utilities on the platform operate with CargoCoins. The ultimate aim is boosting demand and facilitating the usage of the tokens. CargoCoin Team interest is set in line with the interest of the ICO supporters! CargoCoin - Revolutionaising Global Trade and Transport by Decentralisation. CargoCoin platform provides infinite possibilities for added value to the users and the participants. All utilities on the platform operate with CargoCoins. The ultimate aim is boosting demand and facilitating the usage of the tokens. CargoCoin Team interest is set in line with the interest of the ICO supporters. Hi Igor! Could you provide a bit more insight on why you gave CargoCoin, such low ratings? Team is strong with a lot of experiences especially advisors. However, it is not new as I have seen several projects jumping in the industry so how to make yourself unique from them is still a question to me. Another concern is about your pricing scheme which seems to be high while the market nowadays is usually dumping right after the tokens listed on exchanges. This could make investors hesitant to invest and it is hard to reach hard cap. While CargoCoin may seem similar to other projects, there isn't a single other project in existence like CargoCoin. We will be connecting all transport sectors into a single unified logistics platform. No one else has ever done it before, both using blockchain and without the blockchain. Nice project. Amazing team and good advisors. Concept and vision is really good. Whitpaper is in detailed which is good. There is no MVP which is minus point. Best of luck team. A strong team and a fairly large community for such a project. I can say that the concept is correct, that the supply chain needs to be improved. But where is blockchain used here? He does not increase the value, and will only interfere. Is there a need for this when the market already has many solutions. Although it is a fierce market, the team has solid experience. Hardcaps are huge and tokens are also expensive. What kind of calculations will you plan to achieve hard caps? MVP does not work and I am concerned about procuring hardcaps. Japanese translation is meaningless and will confuse Japanese investors. CargoCoin is entering an interesting space of global trade and transport. Transporting goods over sea, land and air is a huge undertaking with many different parties involved and mostly across borders and international jurisdictions. Cargo documents and payments can take weeks, if not months to clear as there are many intermediaries involved in the process of transporting goods from point A to B. Add to that the tendency of traditional shipping using the old practice of exchanging official "signed & stamped" original documents and you have a global transport industry that is inefficient, slow and not cost effective. By decentralising global trade and transport, CargoCoin can reduce costs and make the entire value chain more efficient and at the same time, more profitable for all parties concerned. Seaborne shipping is notorious for delayed payments and disputes which end up in arbitration or drawn out legal proceedings (as it may involve several jurisdictions at the same time). 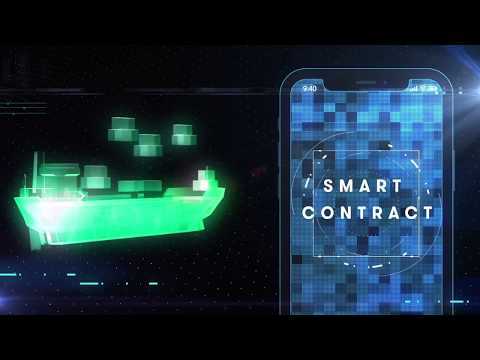 By using smart contracts, the entire process can be made more transparent and traceable (goods and documents) with payments effected as soon as the terms and conditions of a contract have been fulfilled. This streamlining of global trade and transport is beneficial to all parties concerned and it will ultimately benefit the end-user/consumer as the transportation cost of goods will be reduced and could result in cheaper prices for imported goods. In this regard, the vision of CargoCoin is unique and very forward-looking, deserving a 5 star rating. The product is great, however implementation will be challenging, it's difficult to convince and industry steeped in tradition to change its habits and to adapt to a new technologically advanced system using tokens on a blockchain platform. Furthermore, there's competition out there so implementation and execution of project goals and objectives will be challenging, however the platform is well designed and will offer a comparative advantage. Hence, 4 stars for product. The CargoCoin team is very experienced and professional and the board of high-calibre advisers such as Simon Cocking, Capt. Savio Gomez and Michael E. Bryant will be instrumental in the development and successful execution of the CargoCoin project. Good luck and great success ! -Well planned tokenomics with vesting period. -How is the solution deemed to be different from other similar projects such as Shipchain, CargoX? -Tough competition in this space to market the product. -Platform launch planned in Q2-2019, no MVP available. CargoCoin is very different than ShipChain (which was shutdown by the SEC) and CargoX (free space containers only). Both platforms will operate only in the shipping industry sector, while CargoCoin is planned to combine all transport means into a single unified platform for transport. We will also launch a marketplace for cargo where manufacturers could present their goods and their customers could book & manage the shipments directly. To summarize it - while ShipChain & CargoX may seem similar to CargoCoin - their operations are just a tiny fraction of what CargoCoin aims to be. The team has really solid experience in the shipping and transportation business and seems the know exactly how to leverage on their network of relationships, contacts and skills. The analysis of the market and the design of the idea and project is remarkable, yet not breaktrough. Nevertheless, a big competitive advantage on the competitors can be represented by the wide offer of services offered, ranging from manning recruiting to letter of credit. The smart contracts will also be able to adapt to all types of transport and to any kind of smaller niche of the market. The roadmap is very long, as we can expect from such a complex project, but that add risk to the investment. It's interesting the choice to use Erc223 over erc20 token, that, other than promising to reduce the need of gas for tx, seems also more appropriate for the intended use of the utily token cargo. Finally, offering a free platform with no monthly or annual fees makes the growth of the adoption the only source of value creations for investors in the ICO. Great Vision, good partition of the overall market into 4 stages. Even stage 1 is huge!!! I would love to see a geographical focus area and expansion plan. Big player buy in is very important. CargoCoin will start off with Europe as a geographical focus, as these are where our main connections are and will expand to Asia, Africa and Americas. Our MVP is on the way and will be ready by the end of the summer. START OF IDEA.We started the idea of integrating the shipping platform with blockchain payments and smart contracts. ICO PREPARATION.Preparing the Initial Coin Offering for CargoCoin, gathering a team, selecting advisors, preparing whitepaper. ICO LAUNCH.Launching the Initial Coin Offering for CargoCoin. SMART CONTRACTS. Programming of smart contracts on the ERC223 platform, testing and evaluation. BLOCKCHAIN INTEGRATION. Implementing blockchain smart contracts as core part of the shipping platform. LAUNCH STAGE 1. Launch of the global shipping platform. MARKETING STAGE 1. Year 2019 will be devoted to marketing and promoting the global shipping platform. DEVELOPMENT STAGE 2. Starting the development of an inland transport platform (Stage 2). LAUNCH STAGE 2. Launch of inland transport platform. MARKETING STAGE 2. Marketing of the inland transport platform. DEVELOPMENT STAGE 3 . Developing of the universal trading platform, directly connecting manufacturers, fleet owners and customers. LAUNCH STAGE 3. Launch of the all purpose cargo platform. MARKETING STAGE 3. Marketing of the all purpose cargo platform at stage 3. DEVELOPMENT STAGE 4. Development of air cargo platform. MARKETING STAGE 4.Marketing of the air cargo platform. DEVELOPMENT STAGE 5. Development of supply chain platform connecting stages 1, 2 & 4 (shipping, inland and air transport). LAUNCH STAGE 5. Launching of the integrated platform. MARKETING STAGE 5.Marketing of the intermodal platform.